If there's one thing nobody needs right now, it's for "Pokemon Go" to get hacked, putting your successful Pikachu hunting in jeopardy. After all, amid a year that's been full of high-stakes politics, tragic international events, and all manner of bad news, it's good to take some joy and occasional fun wherever you can find it, even if that respite comes in the form of peering at a Squirtle on your smartphone. Which is precisely why Saturday morning turned sour for players around the world, when the "Pokemon Go" servers went down yet again under unconfirmed speculation that they'd been compromised. Obviously, there are any number of reasons — including stresses on the game's servers due to sky-high demand —that could help explain why so many innocent Pokemon trainers were sent into a panic. On Saturday afternoon, Niantic attributed the problem to just that: “Due to the incredible number of Pokémon GO downloads, some Trainers are experiencing server connectivity issues. Don’t worry, our team is on it!”, the company said on its website. 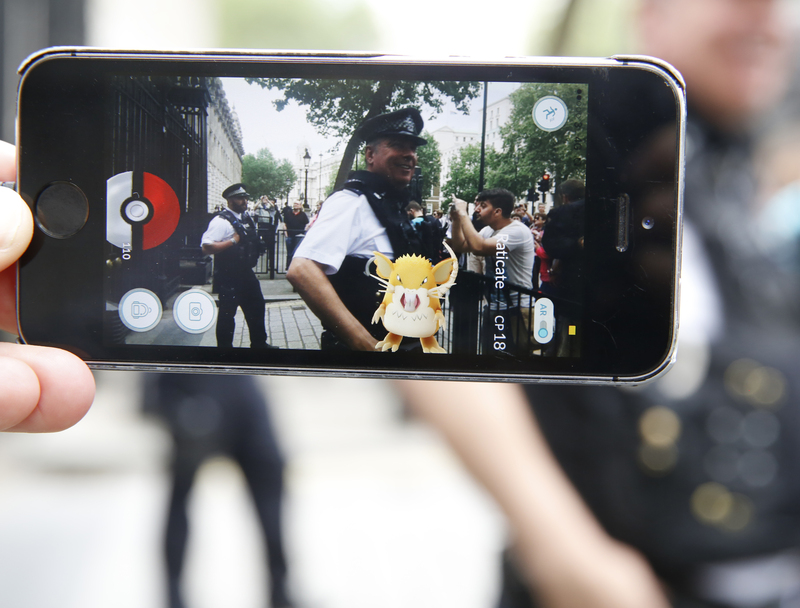 But, as The Independent's Will Worley highlighted after the outage happened, there's actually a hacker group called PoodleCorp that's claimed responsibility, raising the possibility that they executed a DDoS (Distributed Denial of Service) attack on the "Pokemon Go" servers. Niantic has not yet responded to Bustle's request for comment on the claim, or made a public statement about the hacking speculation. If you've never heard of them before, DDoS attacks are a pretty well-known way to disrupt online services ― in simple terms, they work by flooding online hosts with more activity from more unique IP addresses than they can handle. The effect is that legitimate users get muscled out. In practical terms, DDoS attacks can lead to excruciatingly long loading times, freezing, and users getting locked out completely. The tricky thing about discerning a DDoS attack, however, is that on the player's side it just looks like generic technical difficulty, like servers pushed past their limit by the game's ever-expanding user base. That's especially true at this point in the game's international cultural ascension ― it seemingly exploded overnight, and Nintendo's soaring market value pretty much says it all. Because of what a global phenomenon it's become, "Pokemon Go" had already been plagued with server issues even before Saturday. In other words, a deliberate attack on the game's servers right now would likely be indistinguishable (for a user) from the usual challenges in getting online that have been going on over the past week. Suffice to say, plenty of people have spent time testily staring at the "Pokemon Go" loading screen, waiting for that little blue bar to tick up so then can catch a Gyarados rather than stare at one (or evolve one, if you somehow find yourself with 500 or more pieces of Magikarp Candy). That said, the hacking claims are still unsubstantiated. And, Niantic's assertion that the outage was due to that afforementioned "incredible number of Pokémon GO downloads" would make a lot of sense ― "Pokemon Go" went live in 26 new countries on Saturday.